in 1988, was disseminated on the internet, uncovering but a small part of the realities behind this heinous crime against humanity. The Iranian Resistance’s President-elect Maryam Rajavi described the audio recording as a historic document. 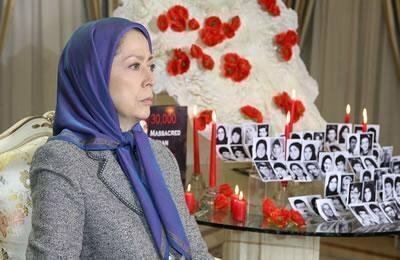 Mrs. Rajavi saluted all the victims of the 1988 massacre, particularly the women and girls who frustrated the regime with their heroic resistance. She said: They paid the price of standing loyal to the cause of freedom and equality. And there is no doubt that tomorrow’s free Iran will indeed blossom from their glorious sacrifice. This is a future which will be unquestionably realized. Maryam Rajavi said: Khamenei and his regime have concealed all the information and details of this crime. They must be compelled to publicly announce the complete list of those massacred and the locations of their graves and mass graves, one by one.